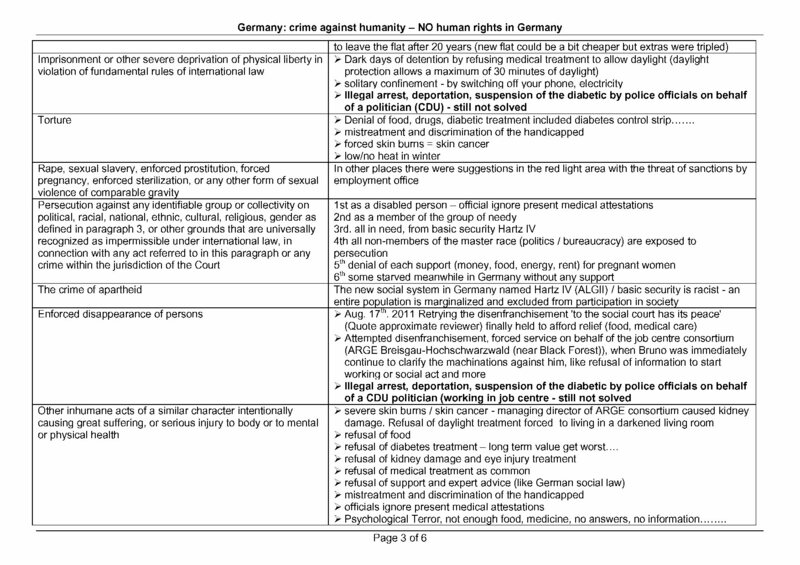 We waiting since month for a simple phone back and so we wrote…..
Ø Claim for aid and UN ‘Convention on the Rights of Persons with Disabilities‘. 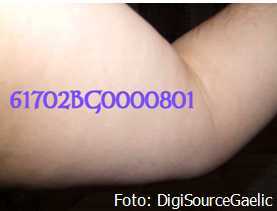 Meanwhile we wrote often and Bruno phoned too – was ignored. No phone back, no support and no aid! 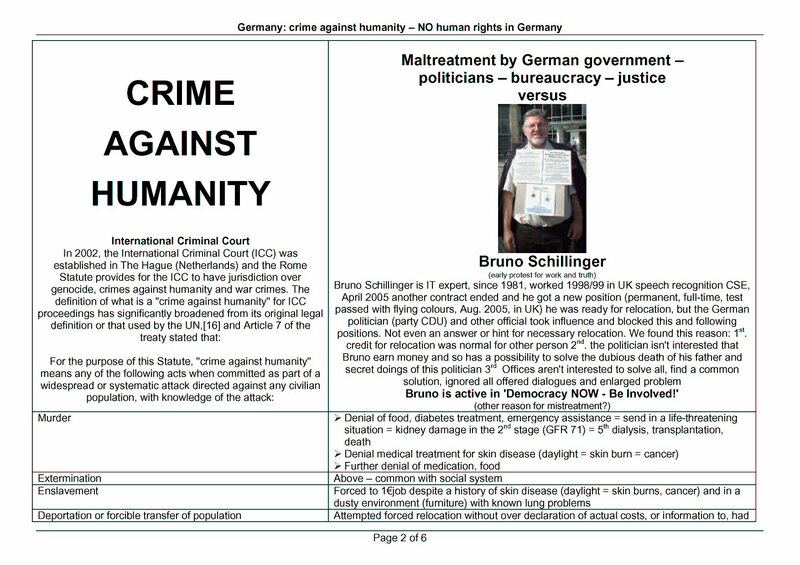 Bruno need urgent aid, but all refuse aid – and German/state government refuse aid and waiting for his death or emergency that they can start disenfranchisement to close the case and hide own mistreatment. 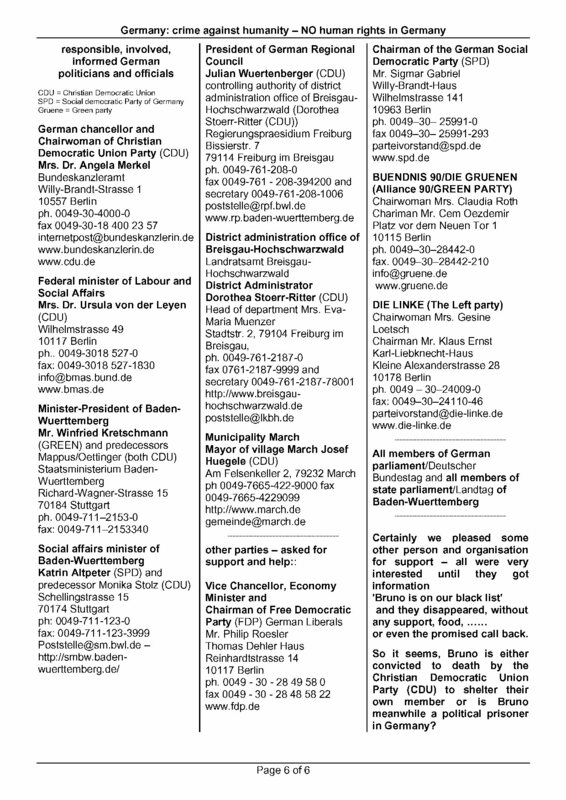 We ask again for your aid, information and asylum. 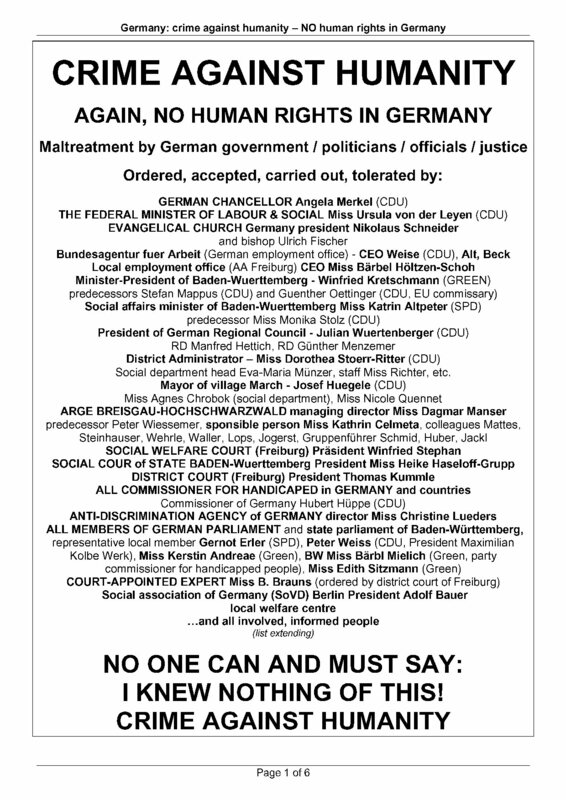 We hope that this fax will handed to a responsible person who is accepting the own ‘United Nation – Convention on the Rights of Persons with Disabilities’. Or have we to wait until the dead of Bruno? Additionally, we are abroad and Bruno is living alone in a single room flat, can’t read at the moment (eye damage caused by German authorities, which refuse medical treatment, food, …..). Please, break down your (phone) wall! 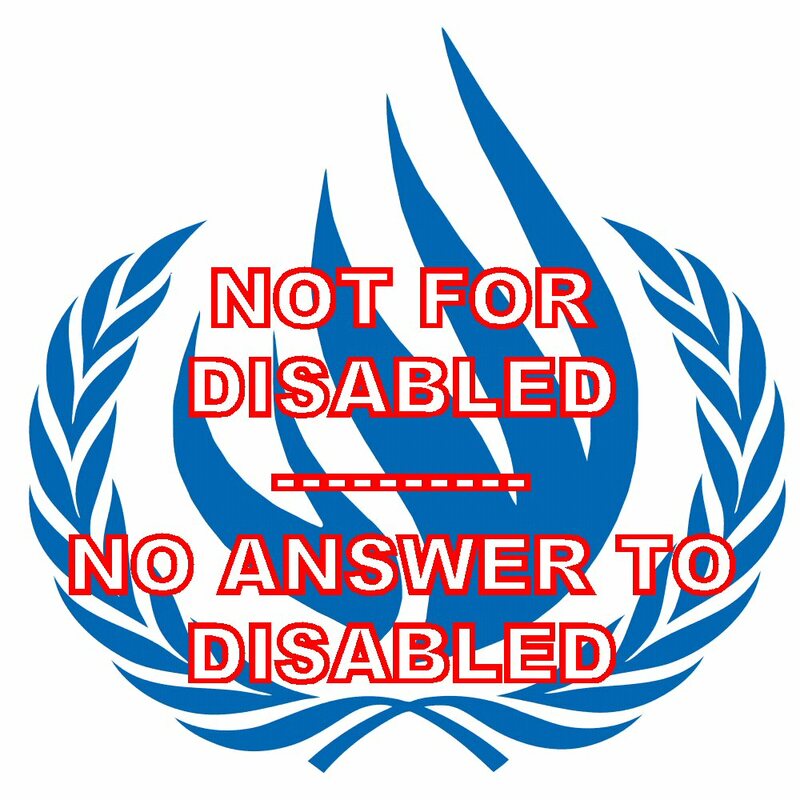 Please phone Bruno grant aid an your own UN Convention on the Rights of Persons with Disabilities, or phone and say ‘we do nothing, don’t disturb us, loose your eyesight, get deaf and die asap ‘ thank you. 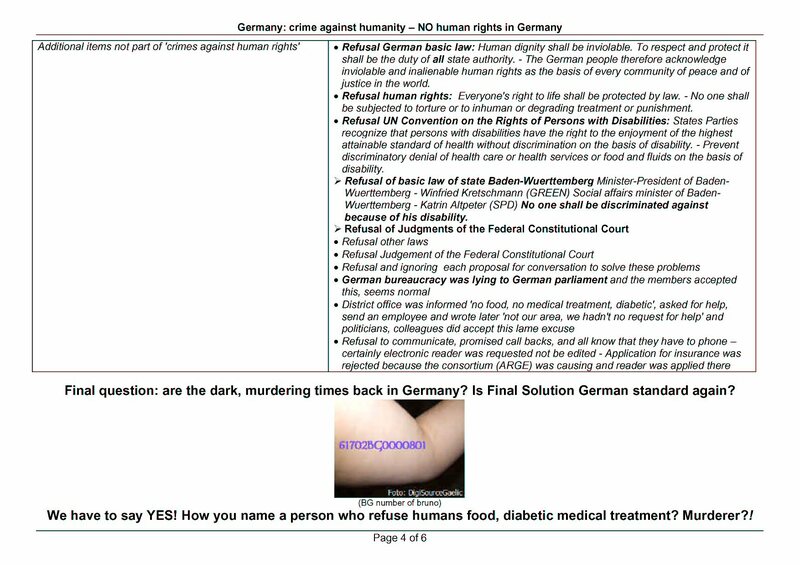 We add again our last fax (without attachment) and our comparing list ‘crime against humanity’ and hope you will grant aid and own UN convention. Thank you! 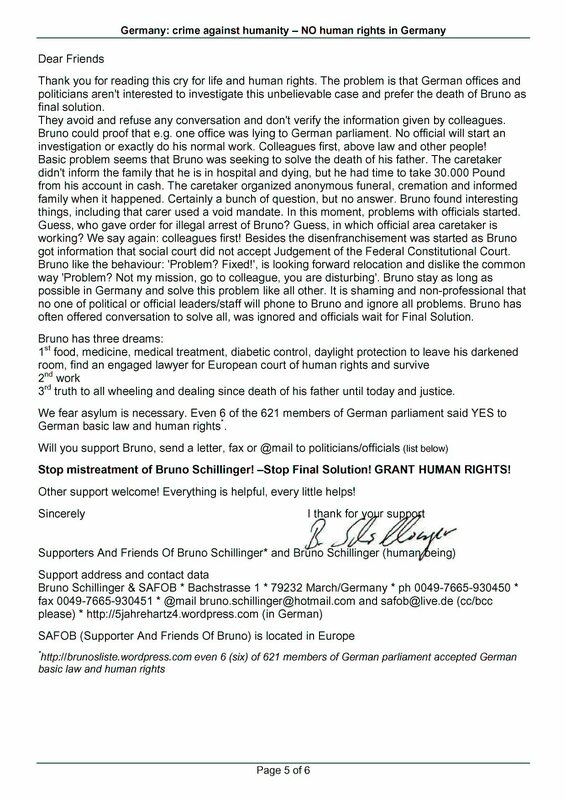 Comment: we phoned Bruno short time after he phoned UN and was so shocked that we wrote immediately this letter in our break. We claim for UN convention and human rights too.